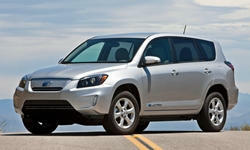 I have test driven A Toyota Rav 4 hybrid, a Mitsubishi Otlander PHEV, and Subura Outback. Maybe a Kia Niro Plug-in hybrid will be next. Anyone have issues with any of these models? Most of the plug-ins are not ideal for highway use. The Kia Niro is very noisy on the highway according to Motorweek podcast #180. Don't forget to drive the Chevrolet Volt/Bolt and your $7,500 federal rebate. 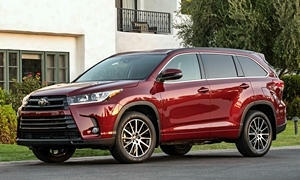 I would skip the Mitsubishi because the future of the brand is uncertain and the Outlander is not really a good SUV. 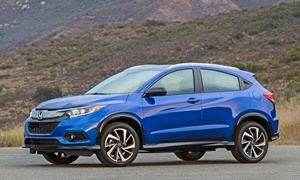 They are continuing to make mediocre cars (Eclipse Cross). It is better to have something at least a little well-known from a company who consistently builds good cars. I've heard the Niro is a decent PHEV. I would not buy one because of the existence of the Prius Prime which I'll talk about later. 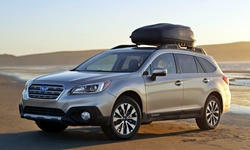 The Outback is not a PHEV, but a good car. Subarus eventually burn oil usually within five years. That is the only problem with them. I would buy a Prius Prime even if you are just looking at crossovers. The Niro isn't as efficient as a Prius Prime. It has less cargo space behind the rear seats than the Prius Prime. The Prime has a proven powertrain that is smoother than the Kia. The interior is more conventional than most other PHEVs in the Niro, which is usually a good thing. The Niro is not really a crossover; more of a tall-ish hatchback. But, what is the point of a crossover when it doesn't have as much space as a hatchback? An upright seating position? Then there is the Volt. Its main selling feature is the 53 mile EV range. It is probably off your list because it has half the cargo space of the Prius Prime. Reliability issues are also a concern, but other than that it is a nice car. Reliability is the most important thing when buying a car though. 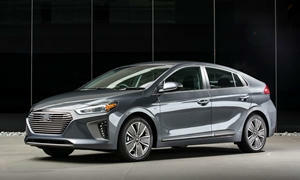 Another choice is the Hyundai Ioniq PHEV. Also available in EV and hybrid. All EVs get a tax credit of $7500 and PHEVs are usually around $4-5k. Like Norm said, EV range plummets when on the freeway. If your commute is almost all highway like mine going 75-80 mph then I suggest a hybrid, EV, or diesel. The already-small EV range in the PHEV becomes miniscule when going 80 mph. The Bolt is sort of a crossover. The exterior styling is ugly, but it's one of the only high-range EVs. It gets 235 miles of EV range. Although the interior is nicely styled, it is truly one of the cheapest feeling interiors on the market in any car. The seats feel like you are sitting on a wooden bench and the dash is all hard plastic. It felt more like a $25k car. These opinions are all subjective, so I advise you to test drive it. Getting back to what you want, an SUV - I am surprised no one has mentioned the Toyota Highlander hybrid or commented on that you are interested in the RAV 4 hybrid (which is not a plugin). The RAV 4 overall has extremely good reliablity. 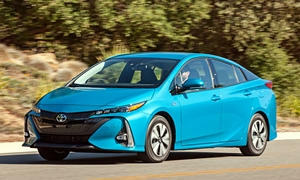 Even Consumer Reports says the last five years (2013-2017) with two redesigns in 2013 and 2017 have been very reliable. A few complain about in-car electronics (the screen) but that is very minor. Sticking with that will suit you well. The Highlander is even better reliablity from 2012-2017, but the redesign year of 2014 has some power equipment issues and in car electronics issues. These are not plug-ins, but they are hybrids and will suit you better even on the highway (which they are not as good a diesels as mentioned but they are pretty good). Not really impressed with anything Mitsubishi does these days as Lectrofuel stated. If you are bent on a plug in, you don't have many choices. You have Tesla (and the wait forever for a Model 3), you have Chevy's Bolt and Volt, the Kia Niro, and you have the Toyota Prime as mentioned. Of those, you are not getting a Tesla because it is going to take forever to get an affordable Model 3 that is less than $50,000. The Kia Niro is very reliable - but it has only been out one year. In Consmer Reports, it ges a perfect score on everything. So it is reliable - but Lectofuel's comment on space is true. The Toyota Prime is a solid choice that has more space than the Niro. Power equpment has been a trouble spot in the first year of production. Otherwise, a solid car. The infotainment system when I tried it out looking for a new car recently was problematic (Consumer Reports testing shows the same thing) as it is not easy to use. You probably want to test one before you seriously consider it. The Chevy Bolt is pretty reliable out the gate (1 year of production so far also). It has a good range for battery only and its only issues have been the infortainment system for some users. There is no gas engine in it so that may be a show-stopper for you. 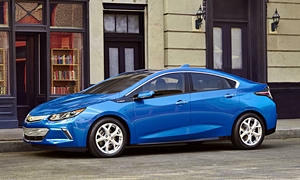 The Chevy Volt is another option. The redesign year of 2016 should be avoided as it has mutliple issues. However, running changes (using six sigma) GM fixed it for the most part and 2017 is much better. In car electronics are still an issue but pretty much everything else (engine issues) were fixed. After the first year many GM cars are fine now. Not quite as good as Toyota,, but pretty solid in many cases - this is one of them. Motor Trend just finished up a one year review and 17,000 miles in a Bolt and confirms it 2018 Car of the Year. "We charged it 154 times total; 69 times at the office, 47 times at public chargers, and 27 times at home. Altogether, driving 16,730 miles cost us $630.58. Public charging was by far the most expensive at $0.27/kW-hr average ($362.97 total), compared to $0.17/kW-hr ($131.04) at home and $0.07/kW-hr at the office ($136.58). For the sake of comparison the EPA estimates it will cost $550 to drive 15,000 miles in a Bolt (ours had cost us $540.99 at that mark). A Toyota Prius will cost you $800 to go the same distance and a gas-powered Kia Soul of similar size, shape, and mission will cost $1,450-$1,550." Thirteen months ago, I plugged-in our long-term 2017 Chevrolet Bolt EV for the first time?filling it not only with electrons but expectations. Earlier responders have covered most of your options and provided great advice -- as usual! 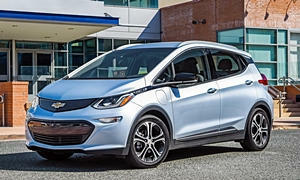 If a PHEV/EV is a key factor in your purchase decision, the oft ignored Chevy brand is making a good name for itself in the EV world (and muscle cars) and seems to have found a sweet spot with both the Bolt and Volt. These two cars having a lot going for them including are low fuel/operational costs and relative reliablity. Cons are relatively high entry costs, poor resale value, and limited range on for EVs. Limited range in less of a factor if your daily drive is less than 100 miles/day and you rarely take trips over 200 miles. For the occasional time sensitive trip >200 miles, renting a gas car is always an option. If you are driving at least 10,000/year (or better yet 15K) the fuel savings have the potential to compensate for the higher initial costs. Of course for for many EV / PHEV buyers the aura of being "green" overrides the potentially higher cost to own. 1. The most passenger and cargo room any of your choices. 2. The most comfortable of all. 3.Lower total cost to own if you drive less than 12-15K / year due relatively low purchase price and highest resale value (RAV4 may beat it in resale). 4. AWD - if you live in the snowbelt or want to venture off main throughfares. 5. Outstanding safety features & ratings. 6.OBs have some of the highest ratings of owner satifaction and loyalty. On the con side a small fraction of current OBs have oil burning / leak issues within the 1st 20-50K miles. Current data suggests the risk of suggest that occurs in 2-4% of Subies but as the latest generation ages that number could increase. OBs have some of the highest ratings in terms or owner satifaction and loyalty. We would all love to hear what you decide! Thank you to all that responded to my question in regards to hybrids, PHEVs or stick with the plain old Outback. I did test drive the Kia Niro hybrid last week and loved it! No one in the area (Northeast Ohio) seem to have the Niro PHEV in stock which makes me reluctant to buy one. While all the cars drove smoothly and were decent on gas, I want a car that looks good-sporty, drives smoothly and is great on gas as I will be driving 12-15K per year. I also need an SUV that sits a bit high off the ground as I live out in the country with a gravel driveway. 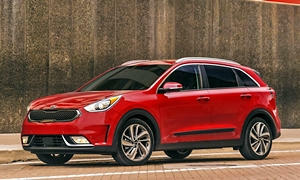 I am leaning towards the Kia Niro Touring hybrid as I like its' look, gas milage (40-46 mpg),price- $30K out the door, and the bells/whistles on the inside. The drawback is it is only front wheel drive. Any other comments are appreciated. TIA. Thanks for the follow up. Sounds like the Niro PHEV may the car for you! 1. Overall, PHEV are still a very low percentage of overall car sales - less than 2%. The PH Niro is #15 sales of EVs for the 1st 4 months of 2018 - 748 sold. Doesn't mean it is a bad car, just has lots of competition! 2. More optimistically (and less likely), perhaps the PH version of the Niro sells as fast as they can get them. 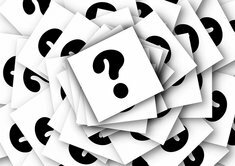 Why not ask the Kia dealer why there are so few Niro's on the lots? Assuming you have gotten by fine without AWD in the past and don't have to go out in blizzard conditions, I think that any FWD vehicle with traction control (virtually cars now days) and decent tires will get you where you're headed safely. AWD is most helpful when you need to climb a steep, slippery hill. It does nothing to improve your braking on snow or ice, which is perhaps more important for many drivers. If you want an added measure of confidence in snow and ice and greatly improved braking, get a set of dedicated studless snow tires. A set of 4 would set you back about $450, add wheels & tire pressure monitors and you would be looking at ~ $ 900. All the above have their particular appeal and none are a bad choice. If you do keep your next car for 10yrs, 200,000+ miles, the Kia would probably have the lowest cost to own. Lots to think about, we would love to hear your final decision. - Price 35k with all new age safety tech :).